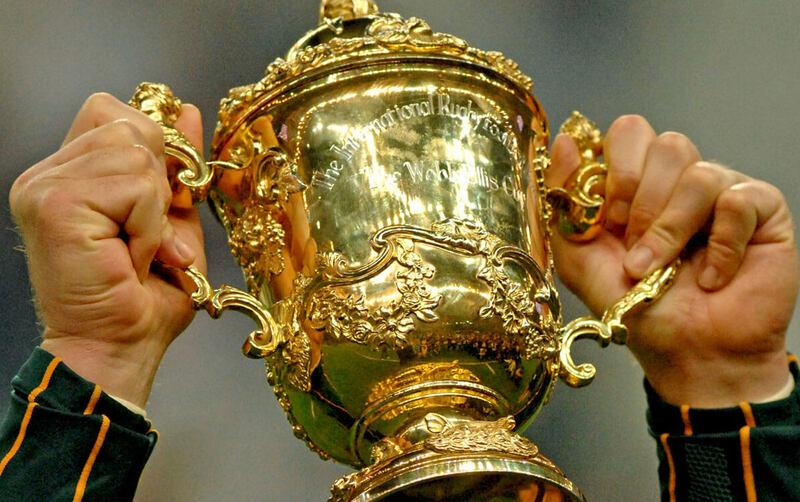 In the history of the Rugby World Cup, a total of 25 different nations have made an appearance. Only four however, have had the good fortune to win it. Sometimes though, those who are expected to only go so far send out shockwaves in the rugby world. Here are 10 of the biggest upsets in Rugby World Cup history. The inspired Pumas shocked the world as they triumphed over France in the opener of Les Bleus home World Cup. The French also went into the tournament under huge pressure, as they were top-rated team in the northern hemisphere. Ignacio Corleto scored the game’s only try and Felipe Contepomi chipped in with 12 points from the boot as 80,000 French fans at the Stade De Francais were stunned into silence. Following their dramatic victory against France in the opening game Argentina repeated their heroics, ensuring they finished top of the Pool with another against the odds victory against Ireland. The loss had major repercussions for the Irish, who failed to get out of the Pool at a World Cup for the first time in the nations history. Not many fancied Fiji when they took on Wales at the 2007 World Cup. However, the men from the South Pacific showed the guts and character to win and thus secured themselves a place in the quarter-finals for just the second time in the nations history. Fiji, after an explosive first half, led 25-10 at half-time but would find themselves behind after Shane Williams and Martyn Williams crashed over for Wales. Nevertheless, Fiji prop Graham Dewes touched down the ninth and final try of the game to give them the against the odds victory. The result knocked Wales out of the tournament and lead to the sacking of head coach Gareth Jenkins. Following Australia’s unexpected elimination by France in the semi-final things went from bad to worse for the Wallabies as they suffered another shock defeat. It is debatable how motivated the pre-tournament favourites were for a bronze-medal but they certainly should have beaten a Wales side who shipped 49 points in their own semi against New Zealand. The game was neck and neck going into the final few minutes before Adrian Hadley’s last-gasp try and Paul Thorburn’s conversion from the tightest of angles settled it. Wales’s crushing defeat to Western Samoa was the first time a leading rugby nation had been undone in the tournament against a rank outsider. The fact the match was at Cardiff Arms Park (home of Cardiff Blues) made the win even more incredible. The sides ended the game tied a two tries a piece, but the kicking performance of Mathew Vaea, who was the Samoan team manager at the 2011 World Cup, proved to be decisive as Samoan edged to victory by three points. The all blacks were the favourites with many not giving France a hope heading into this semi-final. New Zealand’s dominant start to the match furthered this line of thinking as they led comfortably 24-10 early in the second half, which makes Les Bleus comeback victory even more unbelievable. The star of the match was Christophe Lamaison, who had prior to the game been overlooked by selectors, as he single-handedly inspired his nation to triumph with a perfect kicking display that meant he scored 28 of France’s 43 points. His solo efforts did not go unrecognised as he received a standing ovation from the 75,000 fans at Twickenham at the end of the match. Les Bleus pulled off a famous and unlikely victory over the tournament favourites New Zealand in Cardiff to set up a semi-final against England. However, France struggled in the first-half, trailing 13-3 at the break. However, following Luke McAlister’s sin bin for New Zealand, France got back level. Rodney So’oialo restored the All Blacks lead, but a score would closely follow from Yannick Jauzion, which proved to be France’s crucial match-winning try. Ireland, who have never surpassed the quarter-finals at a Rugby World Cup did have a moment of salvation four years ago when they upset the odds to stun Australia. The win in the pivotal group stage match ensured the Irish finished top of the pool, with the Tri-Nation champions and second tournament favourites having to settle for runner-up in the group. Jonathan Sexton kicked two penalties and a drop goal while Ronan O’Gara completed the scoring with six points in Ireland’s finest World Cup display to date. After the 1991 World Cup defeat against Western Samoa there was a widespread joke amongst Welsh fans had been: ‘Thank God we weren’t playing all of Samoa’. However, in 1999, Wales, who were the tournament hosts, were again drawn in a World Cup pool with the islanders. The Welsh went into the game and asserted control early on as they were awarded two penalty tries. However, Samoa battled back with Silao Leaega touching down the decisive try for what would be Wales’s first defeat at their new home, the Millennium Stadium. Pundits had predicted the final of the inaugural World Cup would come down to Australia and New Zealand, who were thought of as the two best teams in world rugby at that time, with southern-hemisphere rugby being the dominant force. Therefore nobody give France a chance when they came up against the Wallabies, but in the end, after a close fought contest it came down to a moment of brilliance from French fullback Serge Blanco. Despite a leg injury, he managed to outpace the Wallabies chasing him before touching down right in the corner. However France could not repeat their heroics in the final against the All Blacks and were well beat 29-9.